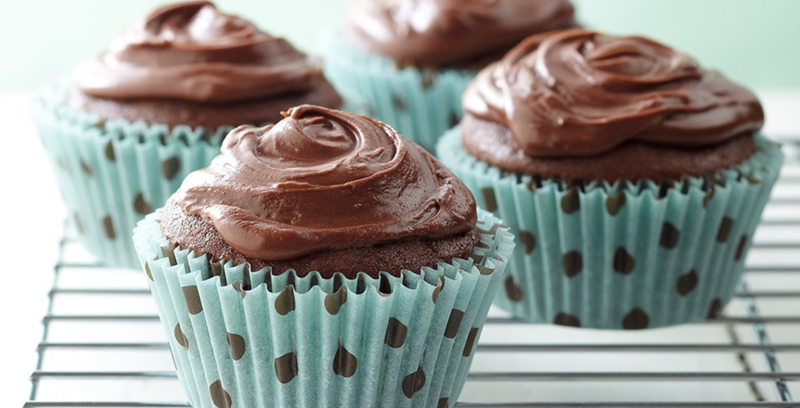 For the Ultimate Chocolate Lover, these cupcakes are friendly for diabetics and tasty for everyone. Enjoy! Allow eggs and butter to stand at room temperature for 30 minutes. Line eighteen 2-1/2 inch muffin cups with paper bake cups; set aside. In a medium bowl, stir together flour, cocoa powder, baking powder and salt; set aside. Preheat oven to 375 degrees F. In a large bowl, beat vegetable oil spread and butter with an electric mixer on medium to high speed to 30 seconds. Gradually add sugar, about 2 tablespoons at a time, beating on medium speed until well mixed, scraping side of bowl constantly. Beat on medium speed for 2 minutes more. Gradually add eggs, beating well. Beat in vanilla. Alternately add flour mixture and milk to butter mixture, beating on low speed after each addition just until combined. Fill muffin cups 2/3 full with batter. Bake 13 to 15 minutes or until tops spring back when lightly touched. Cool completely before frosting. In a medium bowl, beat vegetable oil spread, cocoa powder and vanilla with an electric mixer on medium speed for 30 seconds. Gradually beat in powdered sugar until very smooth. Add enough fat free milk to reach desired spreading consistency (about 1 Tablespoon total). Frost cooled cupcakes. 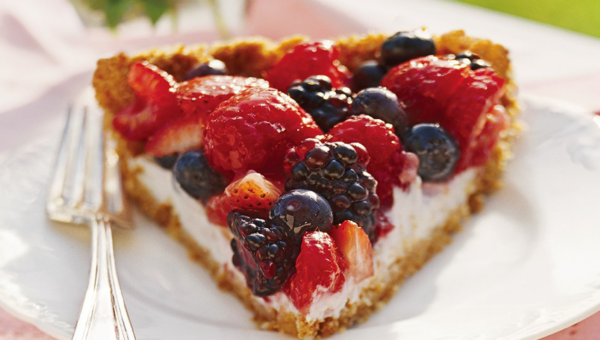 *If using a sugar substitute, choose Splenda ® Sugar Blend for baking in place of granulated sugar. Follow package directions to use product amount that is equal to ¾ cup granulated sugar. Nutrition analysis would be the same except 157 calories and 22g Carbohydrates.